3.8" x 2.7" stitched on 14 count. 2.9" x 2.1" stitched on 18 count. 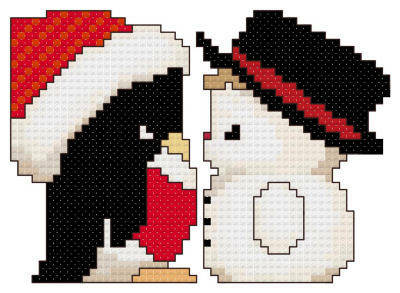 Friends cross stitch pattern... A cute ornament to hang on your tree. Instructions for perforated paper finishing included.